PB750 was developed to hold fossil and mineral pieces together. 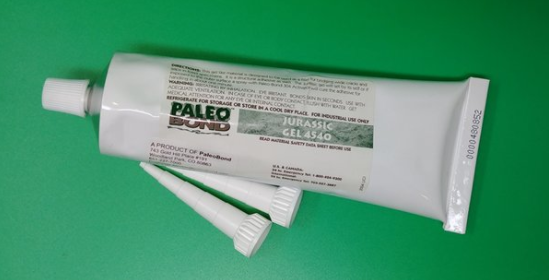 Used by many of the preparators working in the Green River Formation for plate repairs. 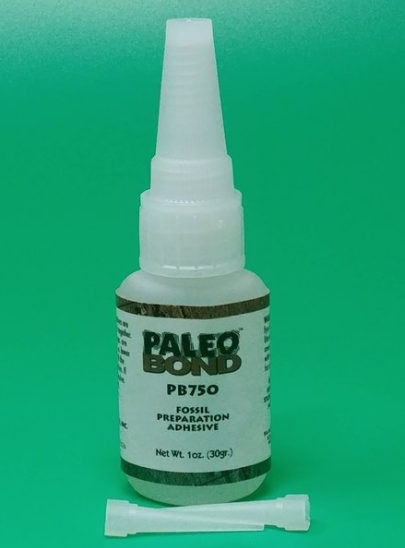 A medium-thick adhesive, PB750 will fill small gaps/voids in your specimen. Slightly flexible. Cures in 10 minutes. Full cure in 24 hours. 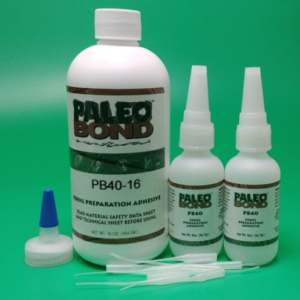 A slight spritz of PB303 or PB304 activator will initiate curing faster. A very good product with high or low temperatures, it will change its flexibility. 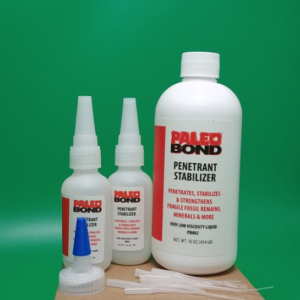 Kit includes: One 1 oz. 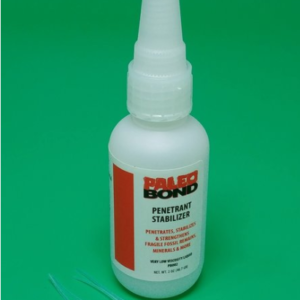 bottle PB750 and 2 stiff tips.